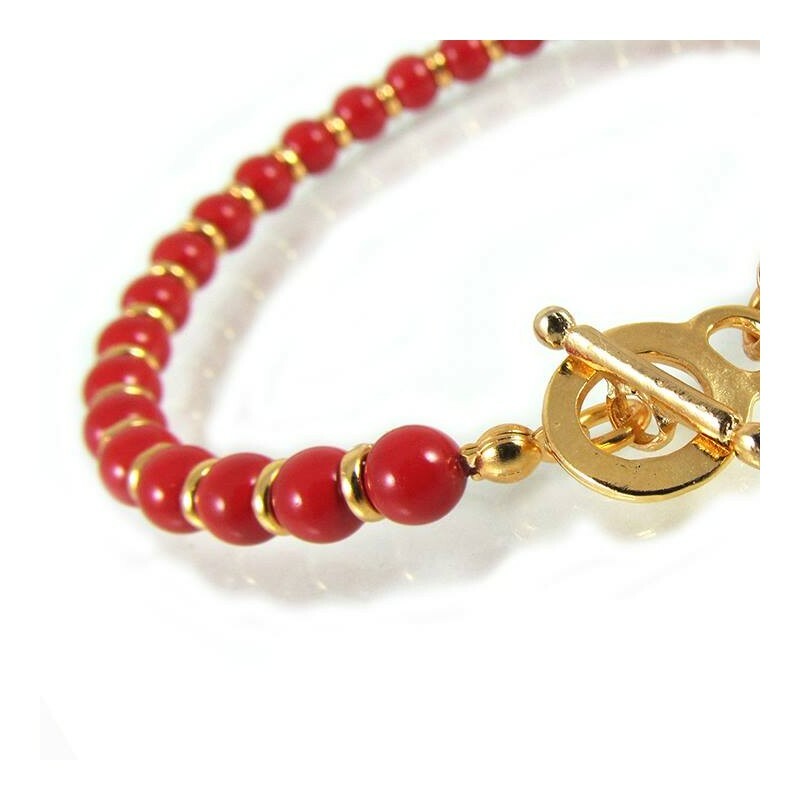 Red Pearl bracelet, elegant and delicate red pearl bracelet made of exclusively Swarovski red coral pearls and gold plated links. 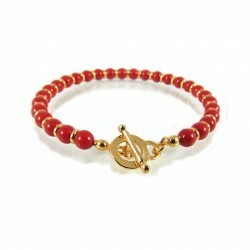 Red pearl bracelet, inspired in sophistication and elegance, a special gift for someone you love. 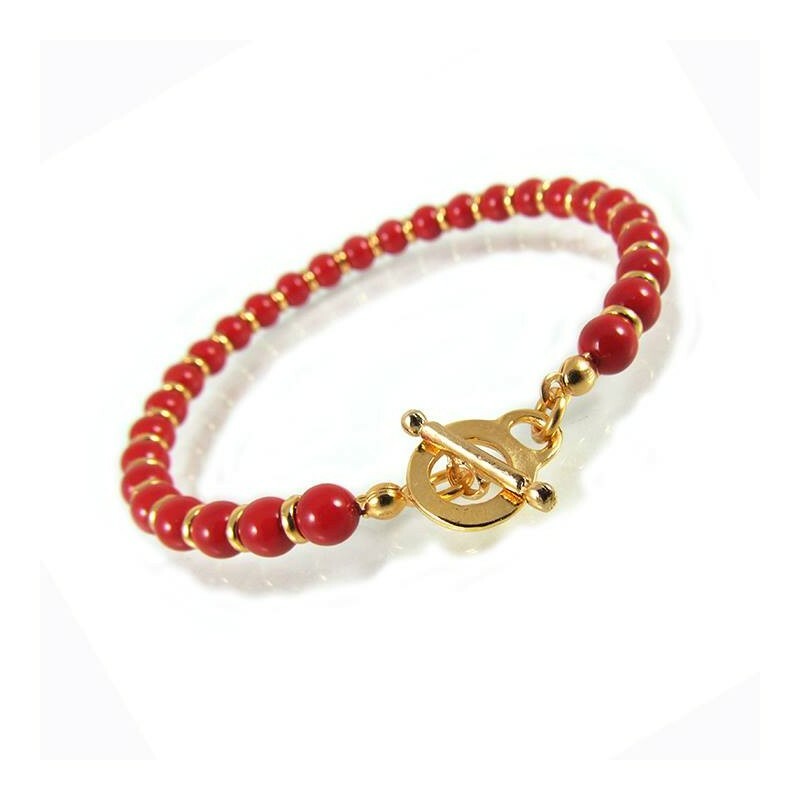 Suitable for marriage proposal, bridesmaids jewelry sets and flower girls.